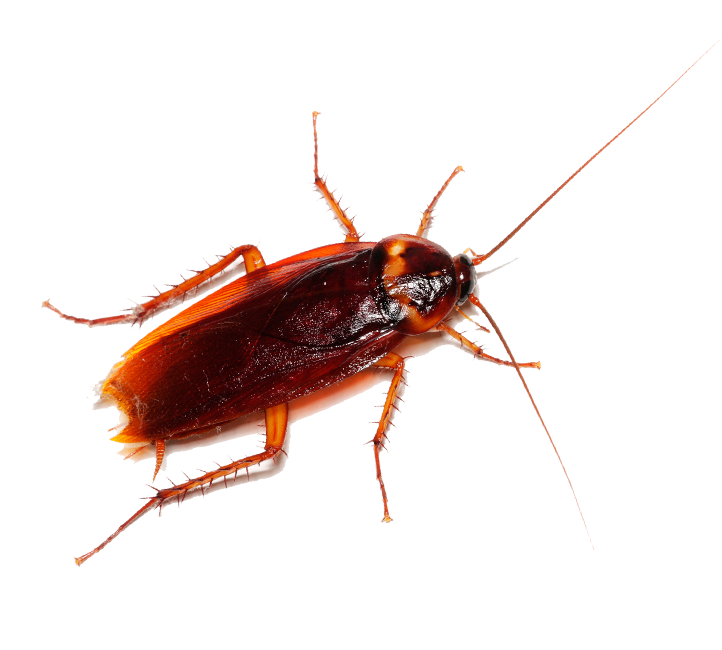 Among many types of pest problems, nothing is more distasteful and more challenging than cockroach pest control. Among the oldest living species on earth, evidence of cockroaches has been documented in fossils that are more than 300 million years old! The longevity of this particular pest classifies them as one of the planet’s most adaptable survivors. Cockroaches are nocturnal and extremely adept at hiding. Since they do all of their feeding at night, if you happen to spot one scurrying around in mid-day, chances are you have a potentially large infestation on your hands that will most likely require immediate professional assistance. The presence of cockroaches in the home or workplace can threaten wellbeing and cause serious health problems in addition to severely damaging, or even destroying, a business reputation within a range of industries. For this reason, do-it-yourself cockroach pest control methods are rarely successful and best carried out by a licensed and experienced pest control expert to ensure success. Arizona Organic Pest & Termite Control pest management specialists apply several effective cockroach pest control strategies for ridding a commercial or residential property from the threat of an infestation. Systematic cleaning and strategic techniques to improve sanitation; limiting food sources and sealing cracks and crevices, while helpful, is not sufficient to get rid of cockroaches once they have invaded your location. In existence for over 200 million years, cockroaches are highly tenacious and can live for a long period of time without food. Methodical treatments administered by professional exterminators are usually required to eliminate this type of pest. Arizona Organic Pest & Termite Control uses a combination of removal, exclusion and baiting practices within a comprehensive and customized pest management plan that qualified technicians customize for your location following a thorough inspection. Home and business owners can rest assured that Arizona Organic Pest & Termite Control takes special care to consistently ensure the safety of children and pets. Cockroaches are notorious for spreading bacteria and disease and have been linked to 33 different kinds of bacteria. Allergy and asthma sufferers are particularly vulnerable. It is important to identify and eliminate an infestation as soon as possible. Our certified cockroach pest control specialists will visit your location in well marked Arizona Organic Pest & Termite Control vehicle and provide prompt treatments within a personalized pest control plan. Call us for a free assessment. Cockroaches can run at a speed of 3 miles an hour, however the German Cockroach can run at a whopping 90 MPH. To learn more about cockroach pest control and how to eliminate them safely, contact a Arizona Organic Pest & Termite Control specialist for a free assessment.